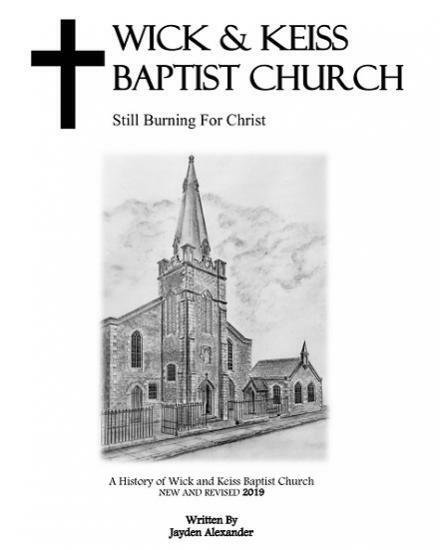 The book is titled "A History of Wick and Keiss Baptist Church". It will first be available to purchase on the evening of Thursday the 14th of February 2019 at Wick Heritage Museum at a talk by archivist Gordon Reid, titled "Ganseys- their art, craft and Caithness traditions", which will commence at 7pm. It will then be available to purchase from the Wick Heritage Museum from the 19th of April 2019 (Mondays-Saturdays, 9am-5pm).